Fighter jet pilots are fun to watch in movies but most people don’t relish the idea of looking like one! Unfortunately, this is the reality for many mouth breathers resigned to wearing a full face CPAP mask. But fortunately, it doesn’t have to be that way anymore! Are you tired of feeling claustrophobic, having limited vision when reading or watching TV before bed, and waking up with the bridge of your nose rubbed raw? It this sounds like you, then it may be time for you to ditch your full face mask for a newer model. Newer full face mask models combine mouth coverage with a less invasive, under the nose design. This ensures that you can breathe through your mouth and nose while sleeping and achieve a more comfortable fit overall. If you’re interested in learning more, there are two options we recommend you try. Let’s look at each model more closely below. This mask covers your mouth and fits comfortably under your nose which helps prevent any red marks or irritation. It’s available in three frame sizes and four cushion sizes to ensure you find the right fit. The unique design has the hose positioned on top of your head so you will have more freedom to move around while you sleep. This design is especially effective for stomach or side sleepers normally bothered by a hose that attaches at the mask itself. These are just a few reasons why DreamWear is the most popular full face mask on the market. The Amara View also covers your mouth and ends underneath your nose. It’s the smallest and lightest full face mask on the market and compatible with three cushion sizes so that you can find your optimal fit. It also offers the widest field of vision of any full face mask. This makes it easy to wear glasses, read, or watch TV before bed while you are wearing your mask. The Amara View’s tube connects at the base of the mask so it works best for individuals that sleep on their back. One of the best things about CPAP masks is that they are easily interchangeable. This means that when your current mask stops working for you, you’re free to try out a new one. And many insurance companies will pay for a new one every three months so you owe it to yourself to ditch that mask you hate! If you aren’t happy with your current mask but aren’t sure where to begin, check out our Honest CPAP Forum. 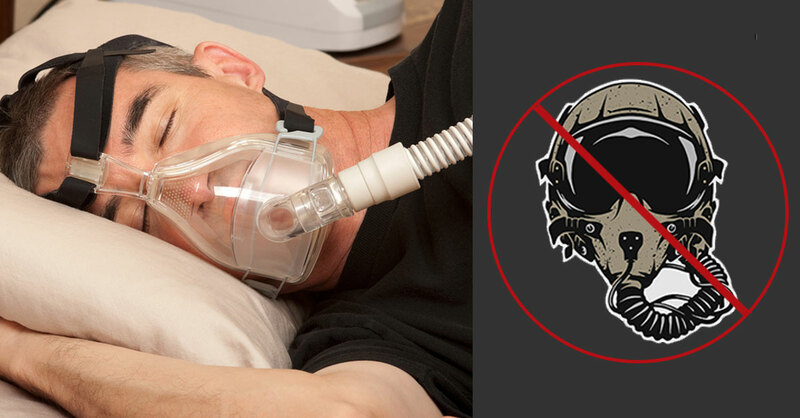 This is a place where other CPAP users just like you share what did and didn’t work for them in their CPAP therapy. Previous Post:How Can I Prevent My Nose and Mouth From Drying Out from CPAP Therapy?